It is less an exclamation of exasperation than a kind of exuberant incredulity. “It’s a great time to be a sociolinguist,” she says. As part of Canada’s sesquicentenary, a team of professors and graduate students at the U of T Department of Linguistics, including Tagliamonte, has charted the changes in language in Toronto over the last century and a half. In conjunction with this program, a pop-up exhibit from the Canadian Language Museum titled Canadian English, Eh? will offer a broader, cross-Canada view of language change over the course of our country’s 150 years. A forthcoming workshop entitled “Toronto Language Tapestry: Exploring Heritage Languages” will take place this Friday, April 28 at Woodsworth College. Organized by U of T Associate Professor of Linguistics Naomi Nagy, the event will consist of a series of presentations by researchers who have been investigating the shifts in the heritage languages spoken by first- and second-generation Torontonians, such as Italian, Cantonese, and Polish. The range of languages spoken in Toronto is staggering. More than two million residents’ home language is neither English nor French, Canada’s two official languages. Diversity “makes for an interesting laboratory for people who study language,” says Tagliamonte. Her colleague Nagy emphasizes that the melting pot of the Torontonian cultural tapestry may be forging entirely new dialects. 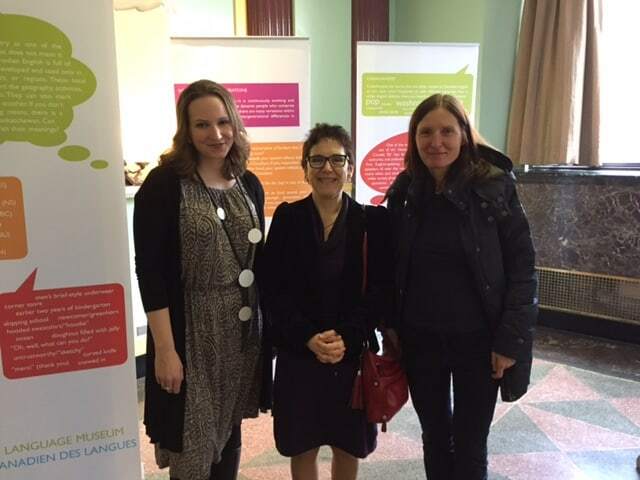 The first event of the sesquicentennial workshop series introduced the theme of language change in Toronto. 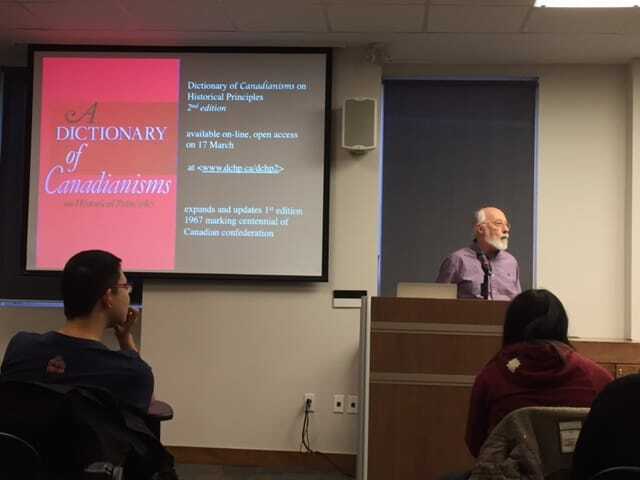 Titled “From Quaint to Cool: 150 Years of Language Change in Toronto,” the event was held on March 3 at the Jackman Humanities Institute. Topics spanned Confederation-era Toronto English to the movement of social media slang into everyday speech in the present day. Tagliamonte, an organizer of this event, emphasizes the magnitude of language change in Toronto since the nineteenth century. “‘From Quaint to Cool’ is exactly what has happened. We have gone from Victorian English and Canadian Dainty, where people had British accents, right down to the GLBQ phenomenon going on today,” she says, referencing the debate around heteronormative biases in language and gender pronoun identification that has ignited a firestorm of controversy at U of T and elsewhere. Language change is both an indisputable and mysterious phenomenon. As with biological evolution, subtle processes of gradual, cumulative change lead to new words and pronunciations that share few similarities with their predecessors. The differences between the late-fourteenth-century English of Chaucer and the English of the present day bear testament to the dramatic shifts that punctuate any language’s history; they are reflections of the ever-changing cultures that speak them. Simplification or reduction of word sounds appear to be the dominant mechanisms at work in such a shift. Like a pencil tip being whittled down with use, words used with higher frequency in language tend to undergo processes of weakening, shortening, and deletion that permanently change the word in question. The middle vowel in a commonly-used word like ‘every’ is more likely to be dropped than in lower-usage words such as ‘wintery’ or ‘memory.’ Consonant deletion is apparent in the many high-frequency English words that begin with the consonant cluster ‘kn’ but that are today pronounced without the hard ‘k’ — ‘know’ and ‘knife,’ for example. There are many interesting histories and idiosyncrasies to the words we use so freely today without second thought. Because language change is so gradual, it is difficult for most speakers to recognize the dynamism and pliancy of the spoken and written word, which contain our history and our future. The events organized by the department seek to address this gap in our awareness about perhaps our most important tool as humans. Language is a useful criterion in examining the way a community or city’s cultural coherence and collective thought processes change over time. As such, symptoms of generational divides inevitably emerge when tracking changes and shifts in the written and spoken word. When English becomes the default, heritage languages risk a decline into obsolescence. But instead of disappearing, they may also morph into new dialects, as noted above with the example of a distinct Canadian-Italian dialect. It is a development that Nagy acknowledges is contentious among older-generation speakers even as it is extremely fascinating to linguists. “Part of the goal of this project is to understand how languages change, but another part of it is to try to help the communities where these languages are spoken to understand that languages do change… When a language has fewer speakers, change can be very scary for the people where that language is an emblem of their whole culture,” Nagy says. Speakers who identify closely with their native language and recognize peers in their community based on sociolinguistic cues are untethered when the mainstay of their culture changes across generations. The third workshop in the linguistics series will take place this autumn and will focus on changes in Canadian Indigenous languages across time, taking on a broader view that includes many Indigenous communities. “As we go back in time, we can grow in the geographic scope that we can look at,” Nagy explains. This is a particularly important component of the project. Of the more than 60 languages spoken by our country’s Indigenous groups, as recorded by a 2011 Canadian census, only a few — such as Inuktitut, Anishinaabemowin, and Cree — are expected to survive. Marginalized identities and dialects are being lost completely with the onward march of globalization. One need only look at the legacy of Canada’s residential schools, whereby entire Indigenous languages have been lost through the government’s program of assimilation and systemic eradication of these groups’ cultures. In his Course on General Linguistics, Ferdinand de Saussure writes that “without language, thought is a vague, uncharted nebula.” Tracking how language changes through the maelstrom of human expression is an important project in mapping the “nebula” of cultural thought and identity across its many dialects — and, as Tagliamonte notes, understanding what it means to be human. The next event in the series, Toronto Language Tapestry: Exploring Heritage Languages takes place on Friday, April 28, 2017, 12–5 pm at Woodsworth College, Room 126. How do you say Toronto?